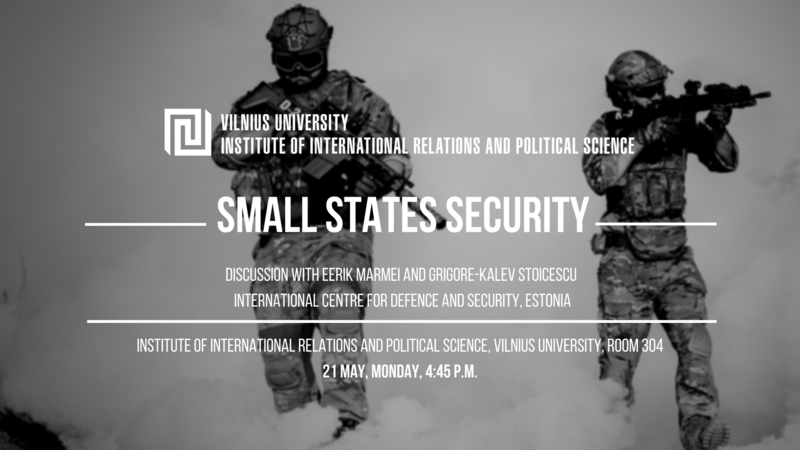 We invite you to attend a discussion on “Small States Security“. Estonian diplomats, experts of International centre for defence and security in Estonia Eerik Marmei and Grigore-Kalev Stoicescu will be the participants, and the discussion will take place at the Institute of International Relations and Political Science, Vilnius University, room 304, on 21st of May at 4:45 p.m. The discussion is a part of Security Studies course for MA students. During the event, security policy of Estonia and general security environment in the region will be discussed. Students will be able to step in with their questions and reflections.